Every life is precious so to save most of the lives at the time of urgency a lots of trusted blood services are in Delhi NCR. It is a upmost part of health care services. Blood banking is a process of collecting, separating and storing blood. Now a day’s standalone blood banks also occur and can be a Govt. holding body or a private body. Blood transfusion service has a vital role in increasing advancement by technology to ensure quality of blood and its product. Even with all of today’s technology, there is no substitute for blood. Someone has to give blood in order to receive blood. Lal Chandani path lab is also providing a Trusted Blood Bank Services in Delhi NCR. It was founded in 1987. Their centers state an organization or an institution for collection, grouping, cross matching, storage, processing, and distribution of Whole Human Blood or Human blood products from selected human donors. • They have adequate infrastructure and trained manpower. They define the responsibility and authority of management. • Their blood banks are licensed by State Drug Controller and approved by Controller General – (India) and regulated by Drugs and Cosmetics Act and rules there under. • They maintained a detailed standard operating procedure manual, as well as records in a prescribed format. • Well qualified, trained and competent staff is here for leading Blood transfusion services (BTS). • Suitable space, environment and equipment to maintain safe and acceptable standards of housekeeping. • All materials for blood collection and transfusion are to be sterile, pyogen free and disposable and stored in air conditioned area. The principal aim of their services believes in that “the life is priceless gift so contribute in a priceless initiative to provide blessed life”. 450ml of blood can save as many as three lives. One out of every three of us will need blood in our life Time. Hospitals predict that the need for blood will increase 5% each year. About 4% of the eligible population in India donates blood. 75% of donors donate only once per year. A person has 5-6 liters of blood in their body so one can donate blood every 90 Days (3 months).Blood recovers the blood very quickly. By keeping in mind many drastic situations of emergency like accidents, cancer, blood disorders, surgery, pre-mature, pre term babies and many other are warn us to think over to do more blood donations.Red blood cells carry oxygen, platelets help the blood clot, and plasma has specific proteins that allow proper regulation of coagulation and healing.  Donor certificate, Donor ID card. 1. Whole Human Blood – In this blood is combined with an anticoagulant during the collection process. 2. Packed Red Blood Cells (PRBS) – These are red blood cells that have been collected, processed and stored in bags as blood units available for transfusion. 3. FFP – Fresh frozen plasma unfolds the liquid portion of human blood that has been frozen and preserved after a blood donation and will be used for blood transfusion. 4. Platelet concentrates by Aphaeresis- The process of donating specific blood components – red cells, plasma or paltelets – is called aphaeresis. It is used for treatment of dengue & cancer patients. 5. State of the art equipment for cell separation & Aphaeresis. 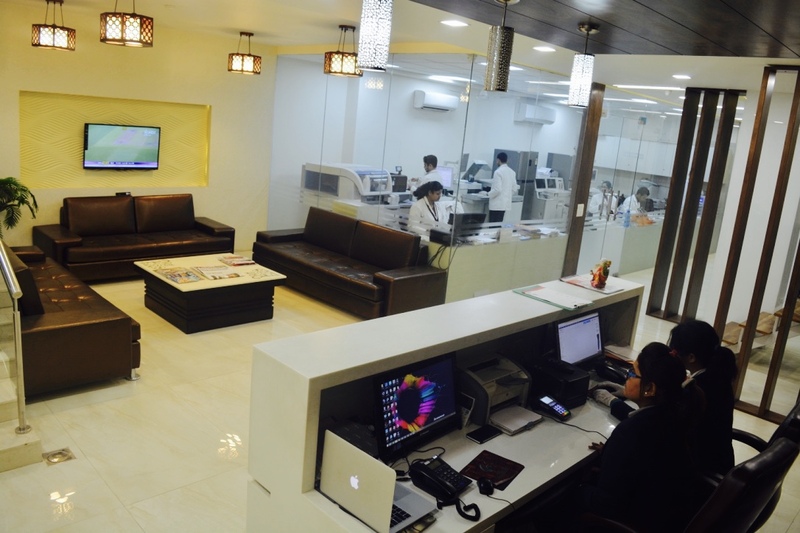 Their centers are totally dedicated to give their best feedback to serve the mankind. The joy of saving human lives fascinates to visit blood bank centers to get blood at the time of any emergency.It is very safe process and is not harmful for you. Trusted Blood Bank Services in Delhi NCR – Dr. Lal Chandani Path Labs Blood Bank at Gagan Vihar, Delhi since 25 years. Best Diagnostic center in greater kailash is also provding services in pathology, full body check up , corporate health check up packages, health check up, health packages, women health packages, Digital X-ray, TMT & ECG test, Ultrasound. Dr Lal Chandani blood bank in south delhi ncr.